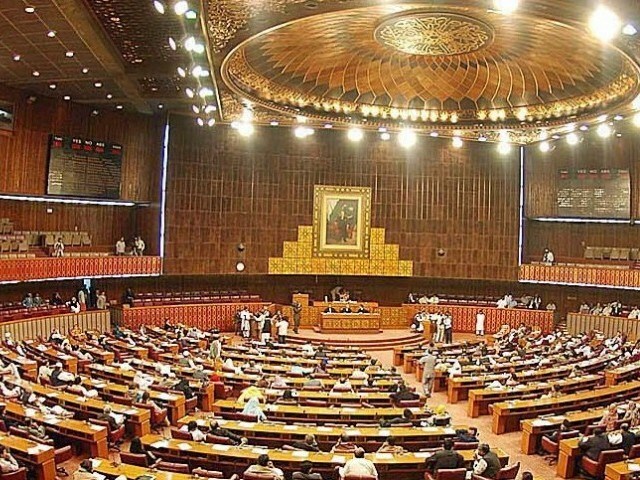 ISLAMABAD: The National Assembly (NA) on Wednesday passed a motion for amendment in the composition of the committee announced to probe the charges of election rigging. State for Parliamentary Affairs Minister Ali Muhammad Khan moved the motion and said that the NA had passed a motion earlier on September 18 for constituting a committee of the house to investigate the charges of election rigging. He said that it has been agreed to bring change in the composition of the committee and the Senate is being given representation in it. He said there would be 30 members of the Parliamentary Committee of which ten would be from Senate. Moreover, the minister said that 50 per cent members would be from the treasury benches and 50 per cent from the opposition benches. The chairman of the committee would be from the treasury benches, he said adding that the government has fulfilled its promise to investigate into allegations regarding election rigging which the previous government did not.